The universe loves me. I paid for my Diet Dr Pepper, pushed the buttons, and watched it fall to the bottom of the vending machine. Reaching inside, I felt something unexpected. No, not a rat. 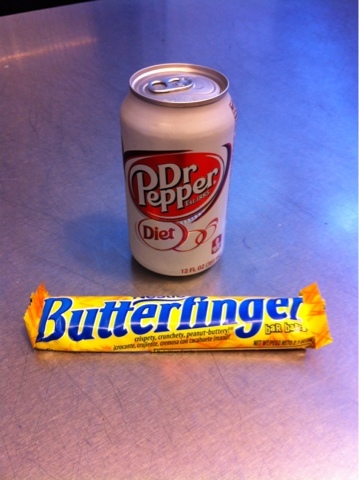 A Butterfinger. For FREE!! Proof: there is a candy god. Thanks Universe. Now I'm even fatter. Thank Candy God I got a diet soda, huh?